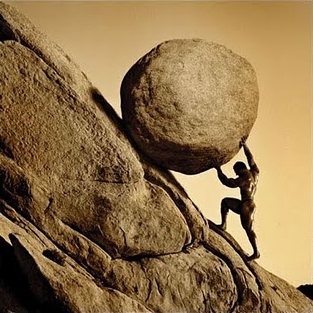 Determination by Roxanne Piskel | WriMos FTW! 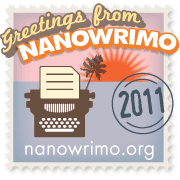 If there’s one thing that I took away from participating in NaNoWriMo 2010, it’s that I can overcome any obstacle when it comes to my writing. I faced numerous challenges last year. I didn’t have a computer or internet at home, so all of my writing was done during my lunch breaks at work. I came down with bronchitis, which resulted in me falling 10,000 words behind schedule. And, of course, I wasn’t in a situation where I could put my life on hold. I had to continue to show up for my 40-hour workweek, take care of my four-year-old son, and do all those other domestic duties to keep life running smoothly. Suffice to say, life really got in the way. But I pushed through. When I found the time, I wrote. When I noticed myself falling behind schedule, I didn’t beat myself up about it. I just pushed myself to write more words the next time so I could catch up. Some days, I didn’t like a single word I wrote. But I pushed on. Once, I deleted an entire section of the story because I was so unhappy with it. But I pushed on. I pushed myself harder than I’ve probably ever pushed myself towards a goal. I was determined to reach that 50,000 word goal. Somehow, by the afternoon of November 30, 2010, I wrote a 50,007 novel. And when I submitted it to the NaNoWriMo site? I felt like I had really accomplished something incredible. And I’m going to do it again. I’m sure I’ll face a lot of struggles this year. I have a computer at home now, an old desktop handed down from my grandmother who doesn’t need it anymore. I still don’t have internet, but I really think that would be a distraction from the writing. I’m a fully single mom this year, so most of my writing will done in the late evenings after my son has gone to bed. I might get sick again. But I did it last year. I can do it all again. Roxanne is a single mother to a 5-year-old superhero, living in the biggest little city and blogging all about her journey at Unintentionally Brilliant. Besides being a mother, an administrative assistant, and a blogger, Roxanne is also a freelance editor. 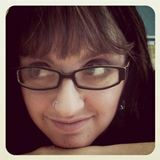 Her background in editing includes working on the Sierra Nevada College literary review, editing term papers throughout college, and being nit-picky about her family's Facebook statuses. She also recently edited the e-book short story Requiring of Care, published on Smashwords by Cameron D. Garriepy. 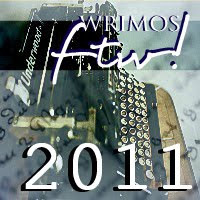 NaNoWriMo '11 will be the second year in a row that she's participated in the event. When not fully immersed in the literary and blogging worlds, she enjoys walking on curbs like they are tightropes, flying with her jacket stretched out like wings, and watching every superhero movie ever made at least twenty times in a row. I wish I had your determination. I'm way behind. But I'm enjoying the trip anyway. Looking forward to you finished work! It's tough, but you just keep pushing. Even if you dont hit the 50K, what matters is you tried, an you can keep going after Nov. I'm 8K behind this year, but I'm so proud of what I have written. I hope to still hit 50 by the 30th, but even if I didn't, the story I have so far is something I didn't have before Nov. And that what rally matters. Getting the stories out and getting into that habit of writing. Woo hoo! Hope it helps to know that you're not alone in not liking some of what you write. I like the days where it rolls out of me, but there are plenty where it doesn't.